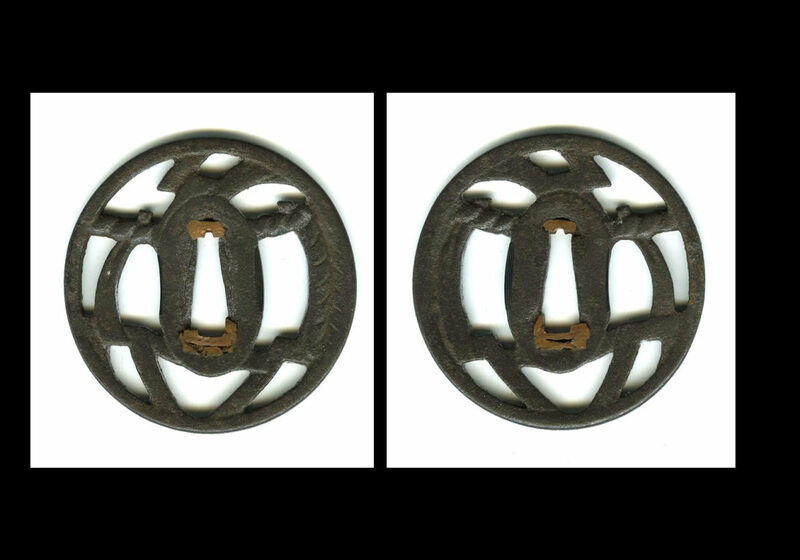 This is a very nice later generation Yagyu tsuba. 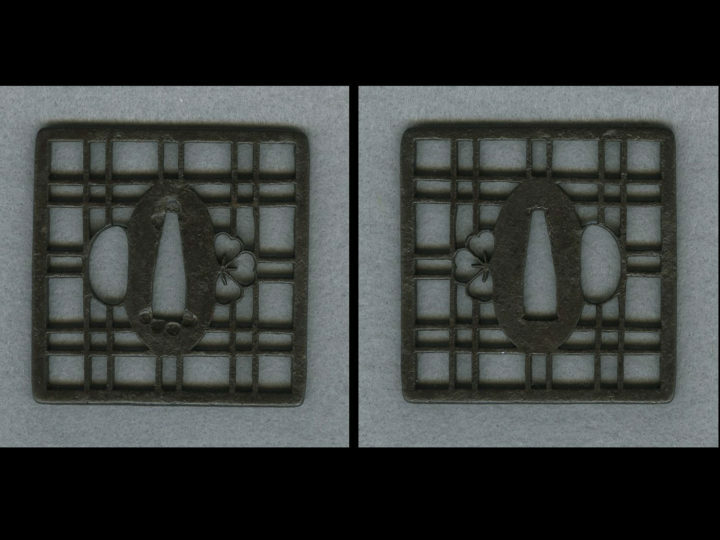 There design is a well known Yagyu school motif showing a Shinto Shrine rope with cut papers hanging from it together with ferns. See #192 in Sasano’s book for a similar example. The condition is excellent. 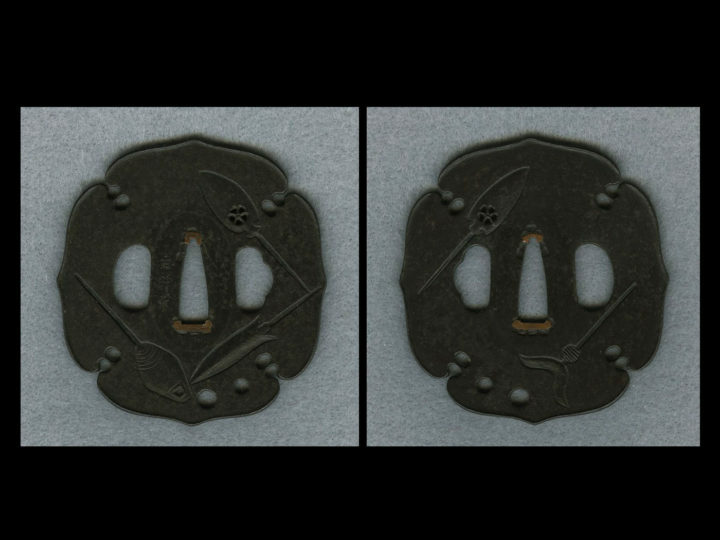 This tsuba measures 7.2 cm or 2 13/16 inches round. 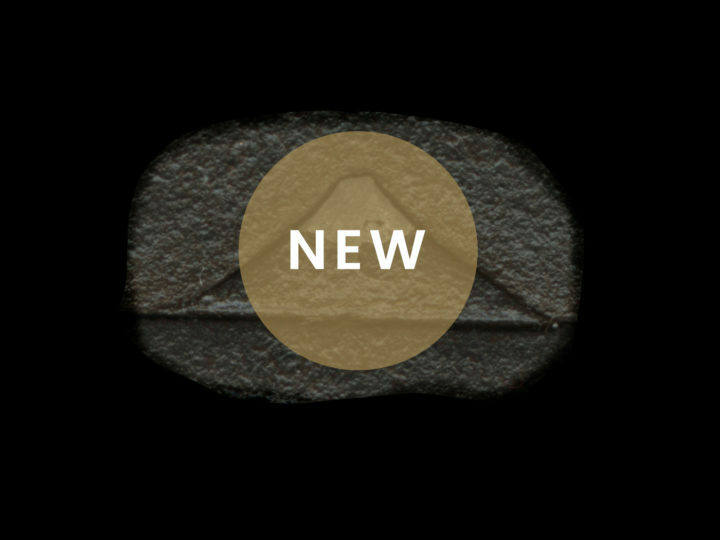 Both the kozuka and kogai ana have shakudo inserts of the best quality. 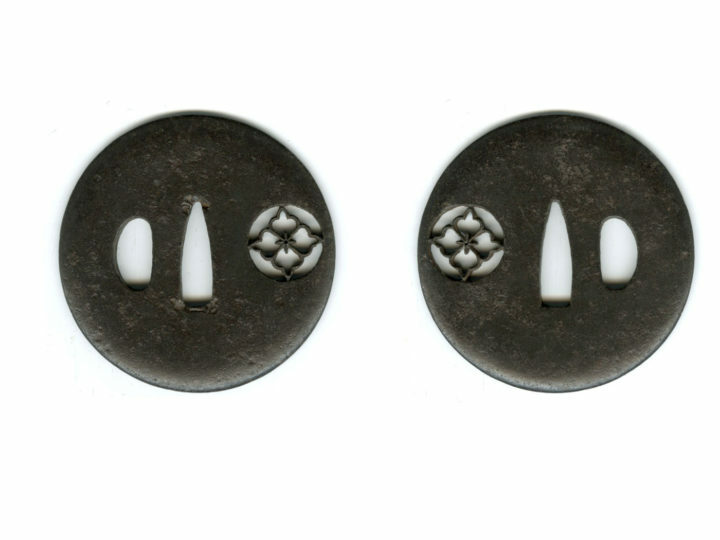 From the kuchibeni, this tsuba appears to have been mounted on several swords over its long lifetime. 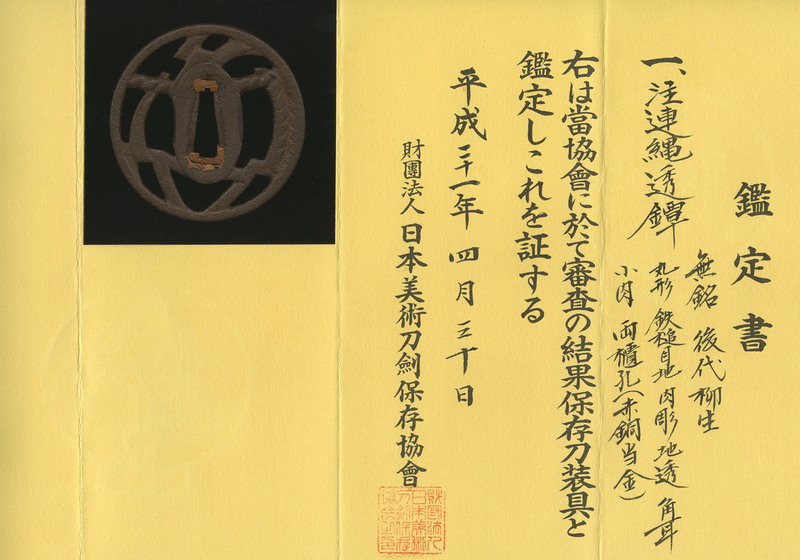 Accompanying this tsuba are NBTHK Hozon papers attesting to its quality and condition. It comes in a fitted wooden box.